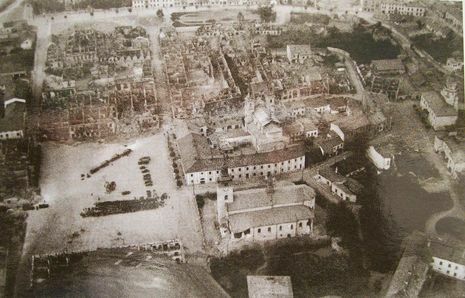 The bombing of Wieluń refers to the indiscriminate bombing of the Polish town of Wieluń by the German Luftwaffe on 1 September 1939, five minutes before the shelling of Westerplatte, which has traditionally been considered the beginning of World War II. 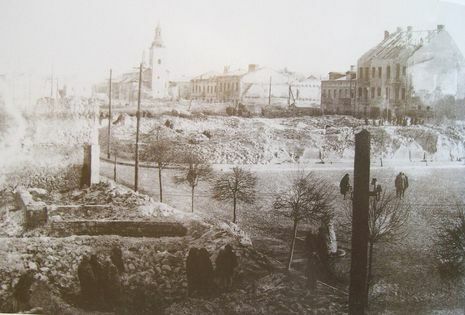 The bombing of Wielun is considered as one of the first terror bombings in history and first in this war. German carpet bombing killed an estimated 1300 civilians, injured hundreds more and destroyed 75% per of the town centre. It is widely acknowledged that there were no targets of any importance in the area such as military installations or industrial facilities. The casualty rate was more than twice as high as Guernica. 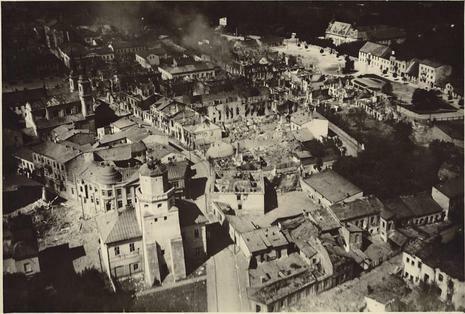 On 1 September 1939, the Luftwaffe targeted Wielun for its very first bombing raid. 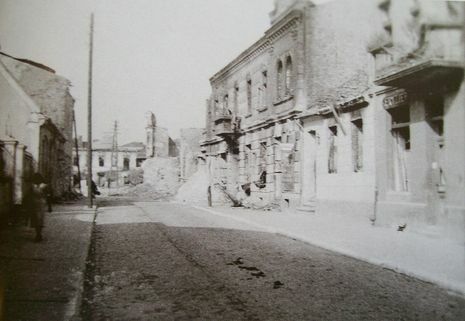 The bombs started falling by some accounts at 4.30am and by others at 4.40am; at all events several clear minutes before the opening salvo at Westerplatte. About 1,290 townspeople were killed in their beds. Three-quarters of the town was pulverised. The casualty rate was more than twice as high as Guernica or Coventry. But hardly anyone outside Wielun recalls it. The 50,000 people killed by German bombs in Warsaw in September 1939, and the 200,000 killed in similar circumstances during the Warsaw uprising of 1944, serve as Poland's major memories of bombing. For whatever reason, Wielun – to use the technical phrase – is not a lieu de mémoire.